Aatma added around 85 lakhs on Monday taking its 4 day (Friday,Saturday,Sunday,Monday) total to 5.75 crore nett. The Monday figures from some circuits are as follows with Friday (Opening day) figures in brackets. 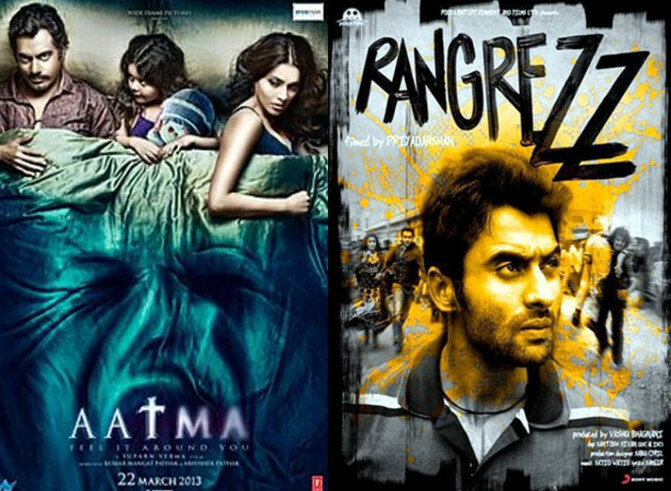 Rangrezz collected around 65 lakhs on Monday taking its 4 day (Friday,Saturday,Sunday,Monday) total to 4.25 crore nett. The Monday figures from some circuits are as follows with Friday (Opening day) figures in brackets.